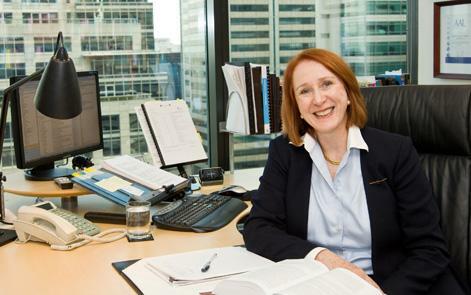 Professor Rosalind Croucher was first appointed to the Australian Law Reform Commission as a full-time Commissioner in February 2007, joining the Commission after a distinguished period of 25 years in University teaching and management, most recently as Dean of Law at Macquarie University (from 1999). She has served in the Law Faculties of the University of Sydney and the University of New South Wales. Professor Croucher served as Chair of the Council of Australian Law Deans (2002), Vice President (Western Pacific), International Academy of Estate and Trust Law (1998–2005), Chair of the Scientific Committee for the World Congress of Medical Law 2004 and on the Program Committee for the 8th biennial conference of the International Association of Women Judges, 2006, for which she was also ‘Rapporteur’. Professor Croucher was the academic member of the inaugural panel that developed the standards and assessment for accreditation of practitioners in the field of wills and probate in New South Wales. She is an elected Academician of the International Academy of Estate and Trust Law; an elected Fellow of the Royal Society for the Arts; elected member of the Australian Academy of Forensic Sciences and a Foundation Fellow of the Australian Academy of Law and in 2008 was elected to the Society of Trusts and Estates Practitioners. Professor Croucher is an Honorary Fellow of St Andrews’ College, University of Sydney and an Honorary Fellow of the Australian College of Legal Medicine.